The INSEAD Global Network comprises all the National Alumni Associations (NAA), the National Alumni Clubs and the Global Interest Clubs. 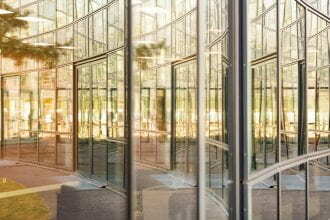 The diversity of the INSEAD alumni, their professional and personal interests and their growing appetite for continuous learning, combined with an unquenchable interest in networking, means that they increasingly gather within the framework of different interest groups. The alumni also expect the Alumni Association and the School to offer relevant and topical events and support. The targeted topics around common themes, coupled with a desire to get to know other alumni interested or active in a specific area, are perfect ingredients for the growth of the Global Clubs. To achieve all these objectives, the Global Clubs organise specific content events, both at global and national level (with the collaboration of the NAAs), combined with unique networking opportunities around a common topic or interest. The main purpose of the Global Clubs is to support the alumni in finding and joining the interest group(s) of their choice. The Global Clubs also offer targeted support to individual alumni across countries, by helping to connect them with other alumni or reaching out to other professionals in their field. Perhaps the most important collaboration is between the Global Clubs, the National Alumni Associations and the clubs within the NAAs. To function at their best, the Clubs are usually based on existing local clubs. The Global Clubs facilitate and drive the sharing of best practice across the network of clubs within the individual NAAs, so that national clubs have a toolkit at their disposal and a repository of FAQs. Some of the larger NAAs have longstanding national clubs. Sharing and discussing their experience with alumni who aspire to set up interest clubs in a smaller or younger NAA is part of the knowledge exchange the Global Clubs facilitate and support. This collaboration spans not only the National Alumni Associations but also the various students’ clubs at INSEAD. One well-known example of such collaboration is INDEVOR, where the Global Club helps the students’ club by enabling and speeding up their set-up and performance. In this way, the students’ club has access to alumni’s wealth of knowledge and experience and can rapidly focus on how to operate effectively. Another example is the organisation of the annual IPEC conferences, with the European IPEC Conference taking place during the May reunion weekend in Fontainebleau. The Global Clubs also work very closely with the alumni team at INSEAD to access the most pertinent INSEAD research and invite faculty to their events. For instance, Professor Ludo Van der Heyden was present at the recent IDPN event on corporate governance. Over the years, the number of Global Clubs has increased. The latest addition is the INSEAD Women in Business Global Club, which was inaugurated in November 2016. 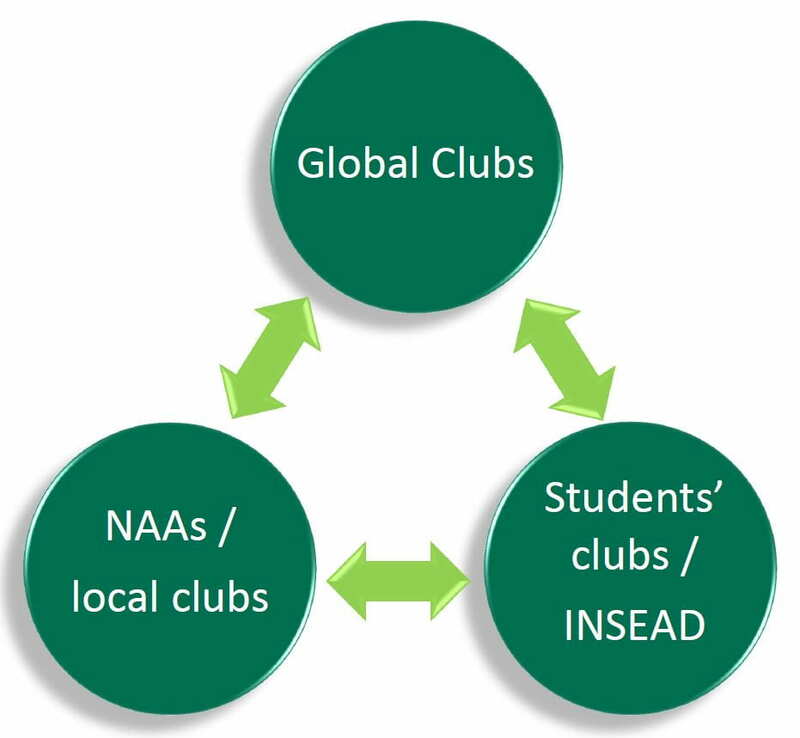 To support the Global Clubs and increase their visibility among alumni, INSEAD is continuously investing in the necessary communication tools to enable them to reach out as easily to their members as the NAAs. Very soon, alumni will be able to choose the Global Clubs they want to receive information from or join on the My INSEAD website. Additional tools include the Global Events calendar, which will simplify the publishing and gathering of information about the various events so that alumni can see at a glance all events worldwide and select the ones they want to attend. The Global Clubs are also benefiting from recent developments at INSEAD, such as the regular annual alumni forums in each major geographical region. Such events provide the ideal platform for the Global Clubs to present themselves, reach out to interested alumni and increase their visibility among the alumni community. The Global Clubs will play an increasingly important role in providing interesting and topical content to the alumni community, in close collaboration with the national clubs. The activities of the Global Clubs will also increase the value of the INSEAD Alumni Association to its members, and will play to the strength of our School by adding unique and valued networking and learning opportunities to the whole alumni community. In forthcoming editions of the Salamander, the Global Clubs will present themselves in more detail to the alumni community. In the meantime, we invite all alumni to visit the Clubs at the My INSEAD website. Next articleChampioning the spirit of INSEAD around the world!